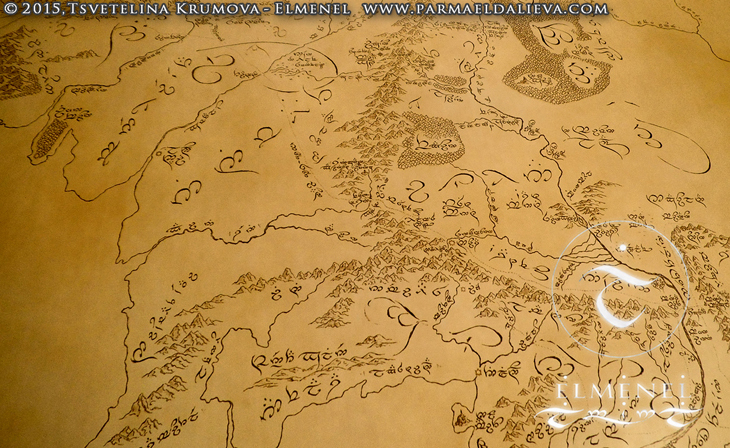 Yesterday I printed for the first time the seventh "Parma Eldaliéva" map. The project's set of major maps is now complete! I designed this one as one of the most strongly imbued with lore in the set. The first 84 cm x 60 cm print will be displayed at Oxonmoot next week together with the rest. I finished the original earlier this summer (100 cm x 70 cm), then worked on the print version. Here are some photos of both. My gratitude to those who support my art! 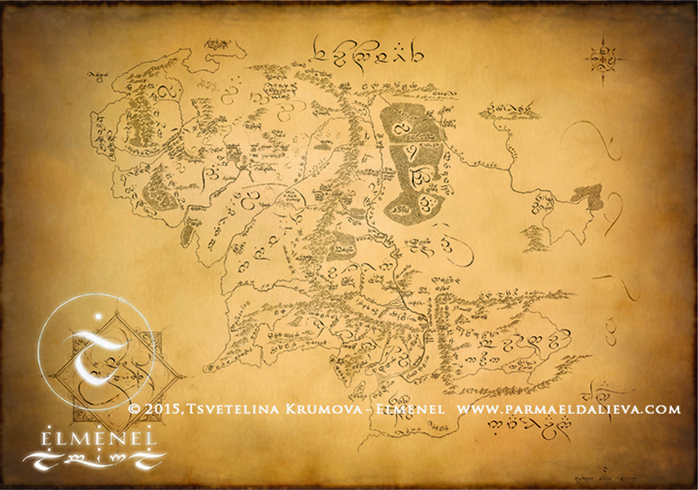 Happy New Loa 2, Yén 15, with the new, sixth Parma Eldaliéva map! 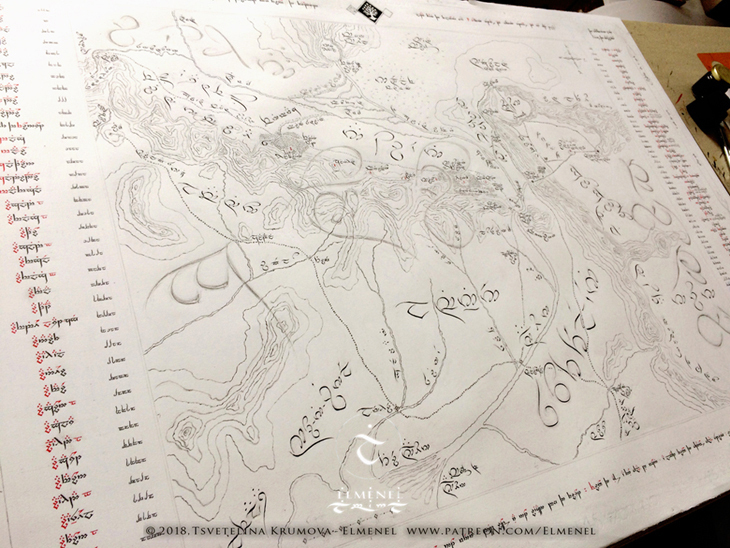 I finished the map (original and three print versions) earlier this week, in time for Mettarë & for Yestarë of Loa 2, Yén 15. This year (only, I hope) I was unable to finish in time the new Loa calendar I have been preparing, due to a January health-related work disruption. 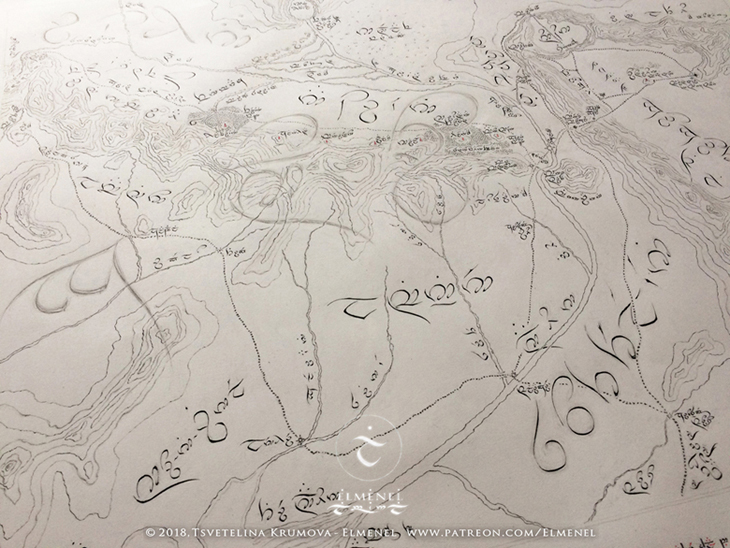 However, in March I focused on the map as a large new work to complete and share with my Patreon supporters in the first hours of the New Loa. The new map is relevant to the contents of Parma Eldaliéva III & Parma Eldaliéva II, Part IV, on which I am focusing nowadays. 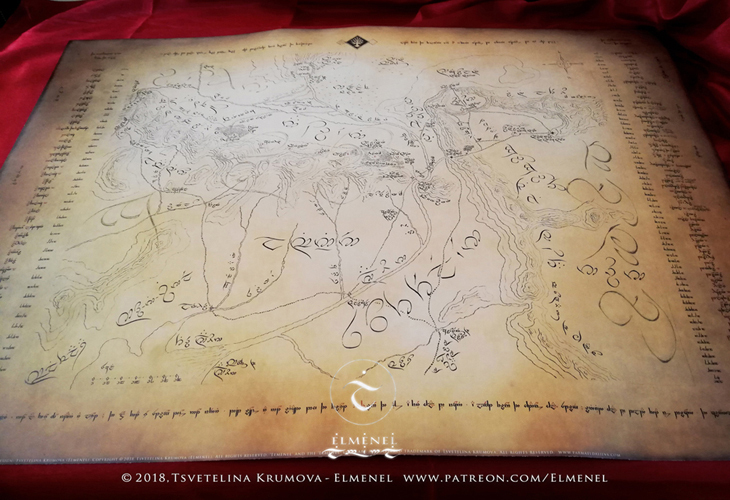 It joins the Patreon campaign rewards and the set of Parma Eldaliéva printable maps as the sixth of that series (not counting the variations). Happy 126th Birthday to J.R.R. Tolkien! With a recent artwork of my "Starsong" series. 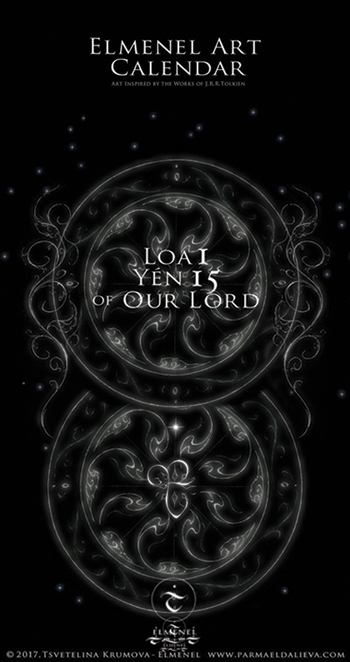 Welcome the Elven New Year and Yén 15 of this Age! Today is its first day, yestarë. And I am delighted to tell you of the release of a wall calendar for the first year of the new yén. 1) the modern month-date in Tengwarin numerals - decimal and calligraphed in red ink for this purpose; 2) the modern month-date in Arabic numerals; 3) the Elven seasonal date in Arabic numerals; 4) the name, in Tengwarin calligraphy, of the Elven season or of the out-of-season day name (black ink). I have hand-drawn the originals of all other graphic art that is added to the calligraphy. Figuring out how to fit things I want in a single date space has been a special effort too. Next loa I will include even more elements. I will be making a loa calendar every Elven year from now on, for as long as I am able to, with as many hand-drawn - with respect for Elven Art - elements as my circumstances allow. I will do my best to have a person continuing to do it after me. Welcome the new loa and yén! 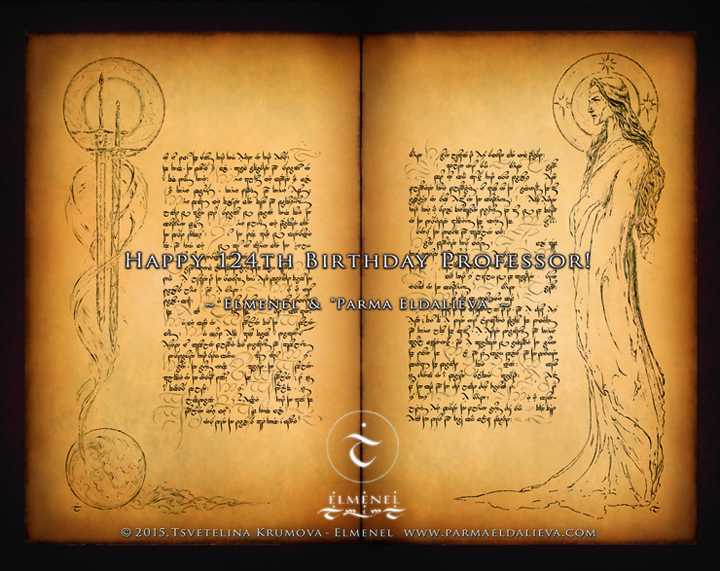 Happy 125th Birthday to J.R.R.Tolkien with my first artwork for this year! 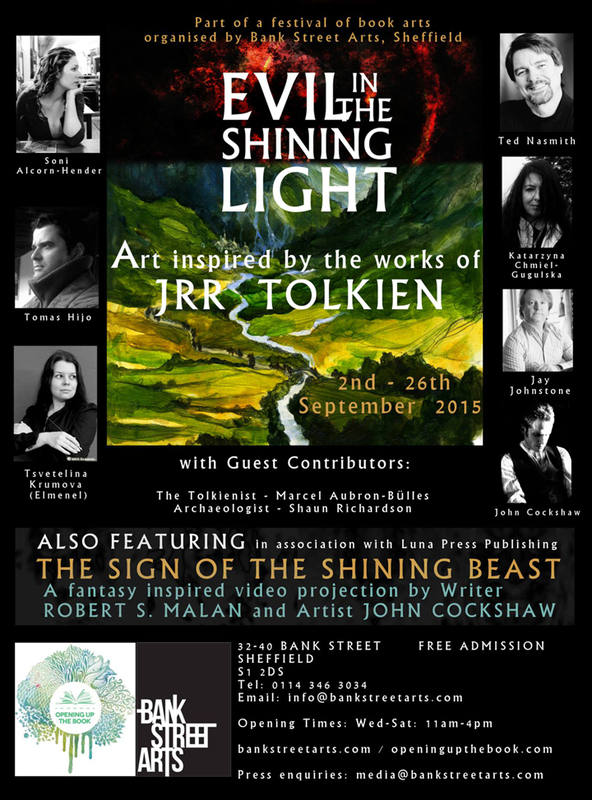 A rich and diverse exhibition of Tolkien-inspired artists in Newcastle: September 20th-23rd at St. Nicholas Cathedral and 24th-25th at Newcastle Castle! 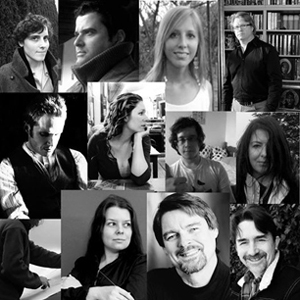 I am happy to say that it will feature Parma Eldaliéva artworks! 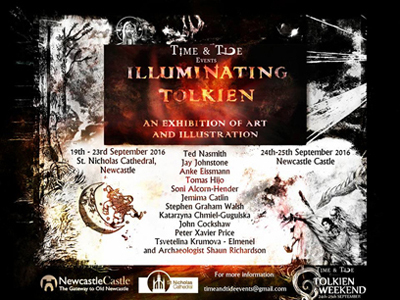 'Illuminating Tolkien' Exhibition will start with Late Night Preveiw on 19th September followed by a week long exhibition Tuesday - Friday at St Nicholas Cathedral, then it will move to Newcastle Castle on Saturday & Sunday as part of Tolkien Weekend with Time and Tide Events. 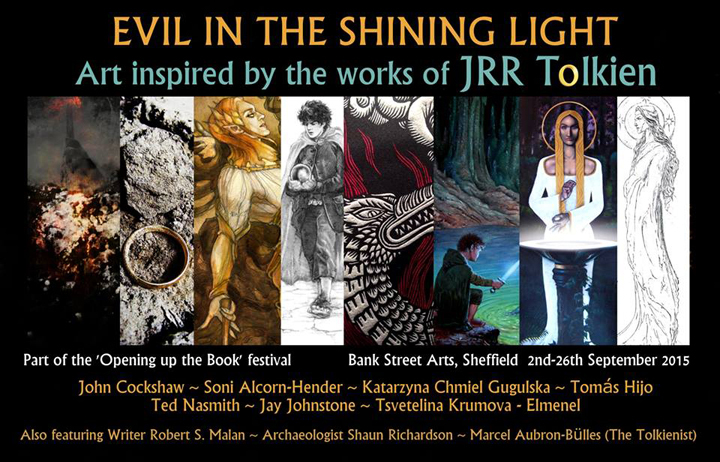 The exhibitions features 12 artists inspired by the works of JRR Tolkien: Ted Nasmith, Tomas Hijo, Soni Alcorn-Hender, Jay Johnstone, Anke Eissmann, Stephen Graham Walsh, Jemima Catlin, Peter Xavier Price, Tsvetelina Krumova-Elmenel, John Cockshaw, Katarzyna Chmiel-Gugulska and Archaeologist Shaun Richardson. Recently HarperCollins Publishers informed me of their decision about the potential publishing of "Parma Eldaliéva I" ("Tengwarin"). They praise my work ("undoubtedly a true labour of love, and visually very striking") and appreciate its quality, but they would not release it because "the number of people who will be able to read it will be minuscule" and so, according to them, "it fails in its functionality as a book". This places it out of their scope of operations as book publishers and makes it unacceptable for a release by them, even if it is "an interesting work of art and probably deserves to be on display". While they think that there would be people - the majority of those who would like to obtain it - who would regard it as a beautiful object, they would not release it with them in mind as doing so would be going too far from their usual book publishing. In addition they expect that such an art book would be purchased by an insufficient number of people for their usual scope of operations. Now I will be looking for another publisher for my artworks. 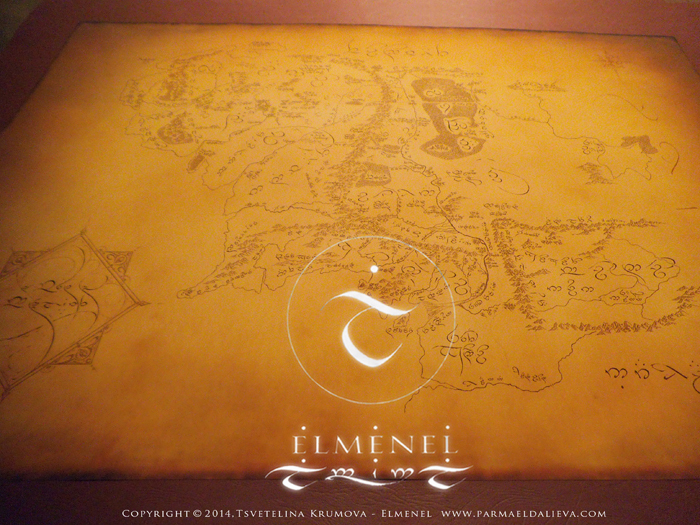 The decision of HarperCollins about the five maps of the Parma Eldaliéva project is also to not publish them despite the quality of my work and the good opinion of the Tolkien Estate. The reason is, as the publisher says, that they cannot publish the maps on their own. Their decision about those has been pending since last spring when I sent five map samples to them (glimpses of those are given at the end of this post). It was considered related to their decision about "Parma Eldaliéva I" whose printed copy took more time for me to finish and send. 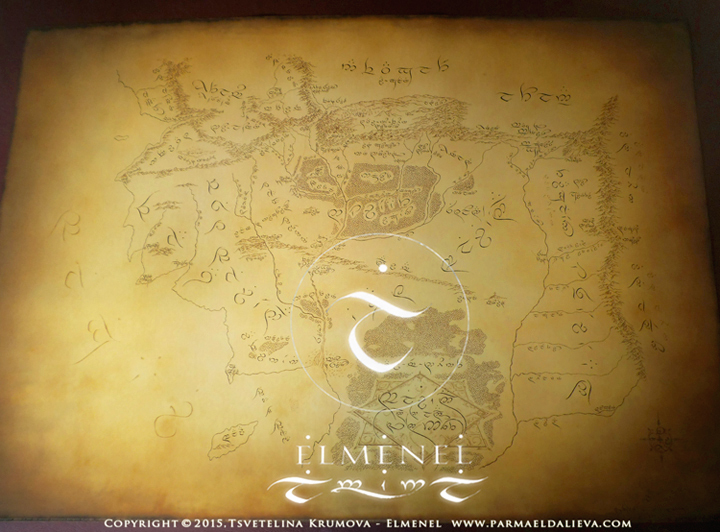 The maps, as I learned only recently, have been presented to the Tolkien Estate last summer and have been commented on very favourably. The set has been in the keeping of a member of the Estate ever since. 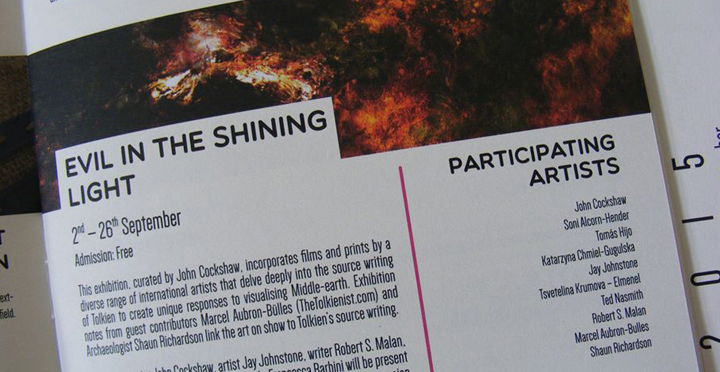 My art book copy has not been presented to the Estate during the publisher's consideration. 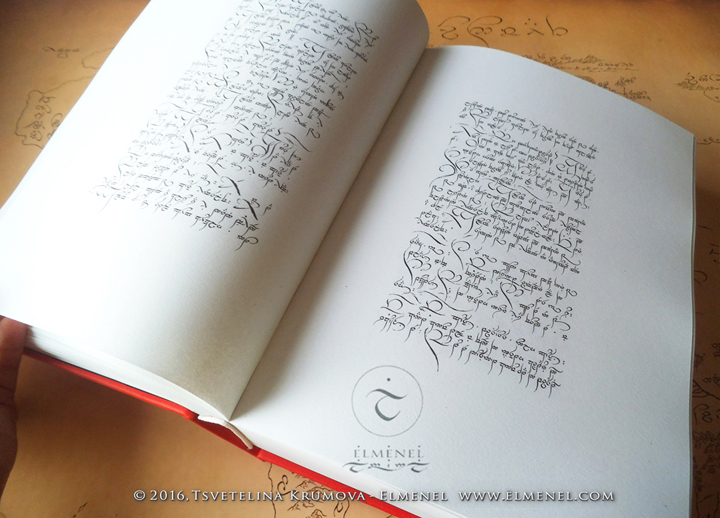 Now that I completed the first "Parma Eldaliéva" and five maps I will continue working on the creation of the next Parma Eldaliéva works including the next calligraphic art volumes (more information about the next two of the six is available here). I will be doing it to the best of my abilities, in the time that is given me, so that the next artworks would exist in this world and be as beautiful and wholesome as able for me to achieve. For that I truly need your support! The work on Parma Eldaliéva is a full-time job as I want to do it with the quality it needs and to complete it while my hands are in their best working shape. I can say from years of experience that it would be impossible to take another job that would pay for me doing the work on Parma Eldaliéva and to simultaneously find the time to focus and create the art itself, in a single lifetime, to produce quality artwork, coherent and whole, in the amount and scope that is needed. In order to create I need equipment, paying rent for space to work and live in, materials, supplies, storage (physical and digital), site support, ensuring my continuous physical existence and health, and other things without which the work would be too slow despite all my skill and dedication, or too limited and less than what I am fully capable to create and what I feel the works that inspired me deserve. 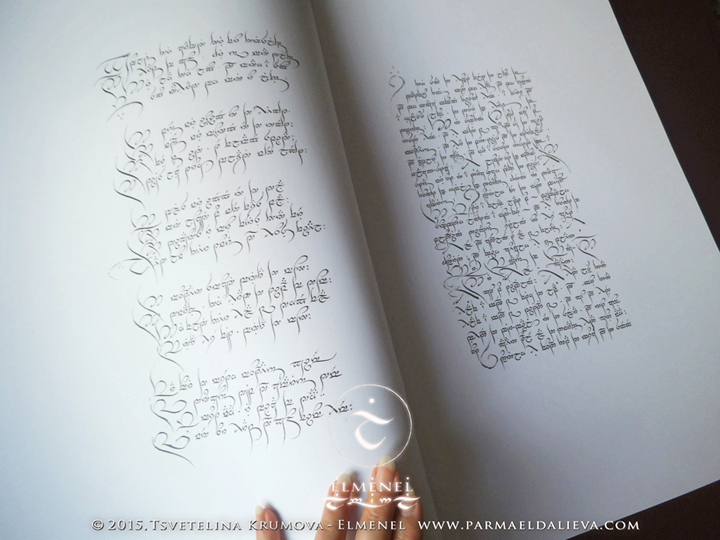 I ask you with everything I am for your support for the Parma Eldaliéva art creation! You can make the successful completion of wholesome and beautiful Parma Eldaliéva works possible! Donations via the Patreon campaign start from 1 USD per month, and those who join it are completely free to quit or rejoin at any time! I appeal to those who cherish and love the same inspiring, good things I cherish and love - and devote my lifetime, labour and gift to! Your contributions matter greatly! You could support my art by joining the Patreon crowdfunding campaign or make a donation via the Paypal button here below! Please support my art and "Parma Eldaliéva"! My deepest gratitude to all who contribute! P.S. Please bear in mind that tangible gifts are given only in the "Patreon" campaign! I will update the new "The Art of Elmenel Champions List" on the "Thank you" page of this site around the tenth of each month. I will be adding the names of those who during the previous month have started supporting my work on levels described on the "Patreon" profile page or have donated via PayPal, except if they wish to remain anonymous. In order to notify me about the latter donors on "Patreon" can send me a private message and via PayPal you could use the message field in the electronic donation form. 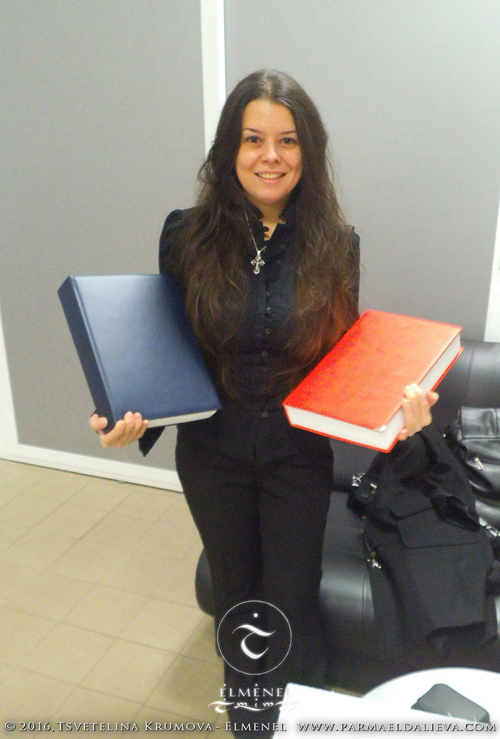 I collected the first two printed copies of the first "Parma Eldaliéva" from the printing house on March 10th. 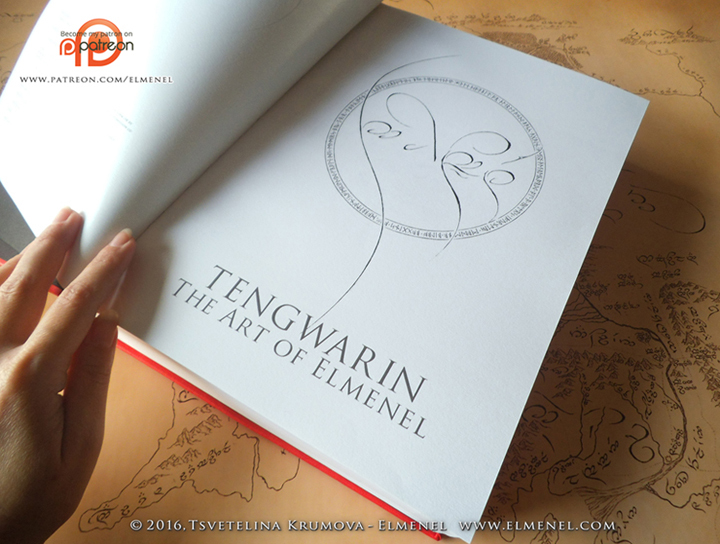 The name of the printed art book is "Tengwarin"~The Art of Elmenel. The volumes on the photos are 554-page test copies. Each of them reproduces all my essential art on "Parma Eldaliéva I" scaled down to about 70 pct the size of the originals (the pages in these copies of "Tengwarin" are 30x21cm). The next trial copies will include 10 more pages with additions and information - with them the art album will have 564 pages. The covers are still temporary and serve my work purposes; right now I need them as they are only for trial & sample copies where I have to check the quality of the pages and the general dimensions of the volume. 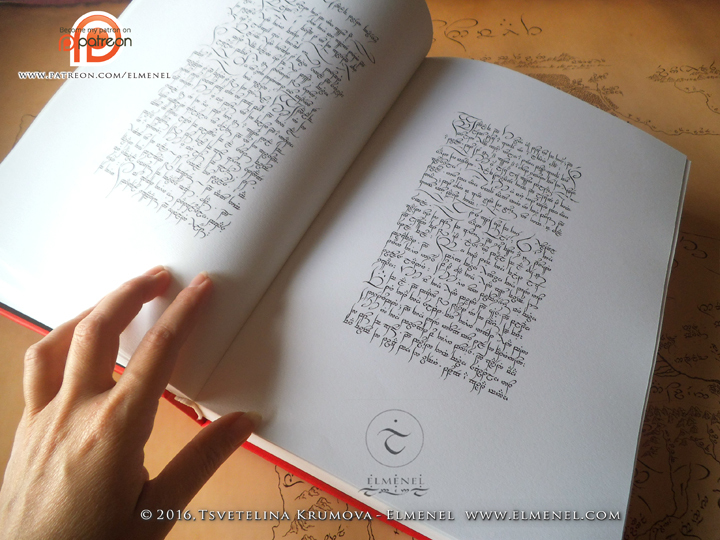 "Tengwarin" will perhaps be the name of the whole series of printed versions of my "Parma Eldaliéva" art volumes. It is the name of my art and also... But what else it means and stands for you will learn later, on both this site and "Patreon". 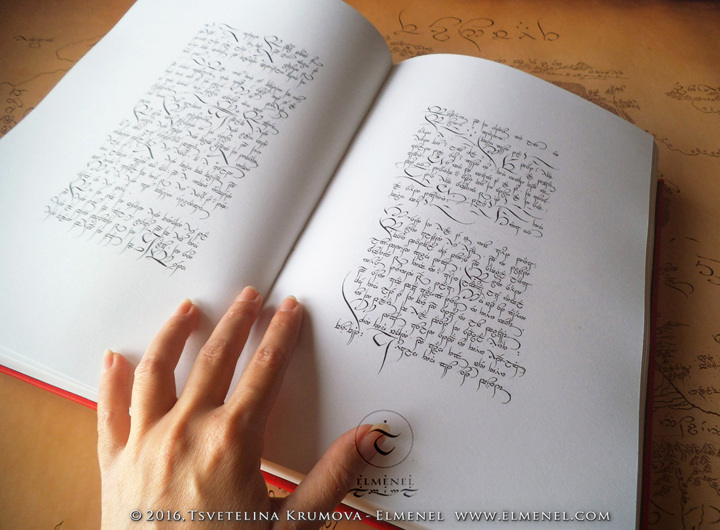 I will continue working on the completion of the next Tengwarin art "Parma Eldaliéva" volumes (II & III) and on related art in the coming months and years. 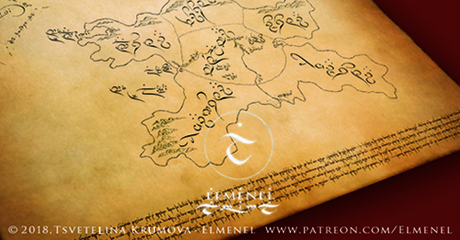 I will appreciate your support for my art at www.patreon.com/Elmenel. I hope that the present and future results of my labour and skill (including your rewards on "Patreon") will be welcome! Earlier this month I submitted for my private test print the first printable art volume of the "Parma Eldaliéva" project! 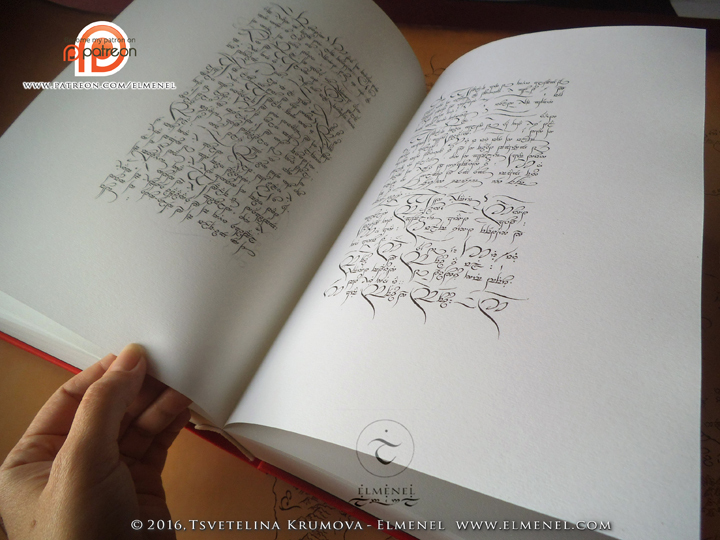 550 pages of Elven calligraphic Art and natural, living hand flow! 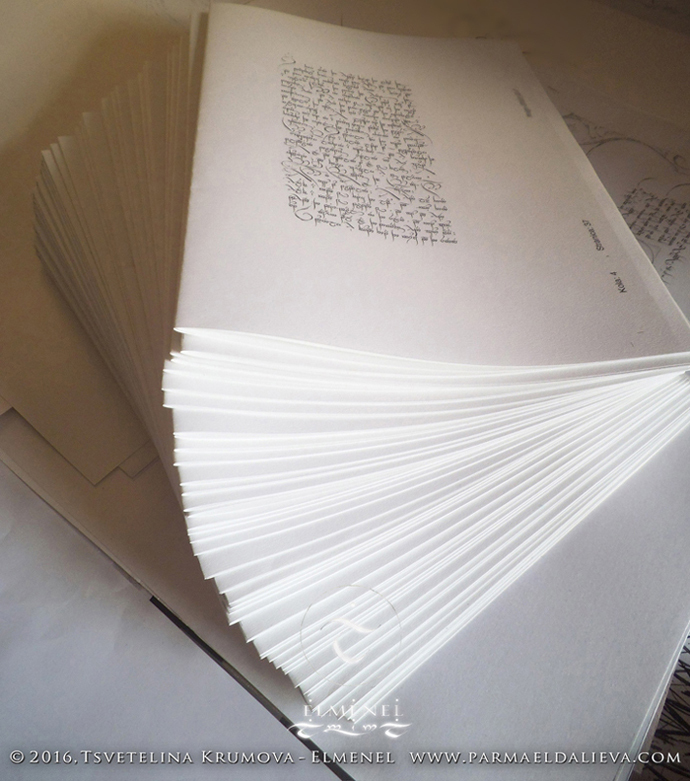 Here is a photo of the folded pages at home, where I have been checking their arrangement before their binding and cutting (hence their huge white margin). More information is available at the support campaign for my art ("Creator Posts"). Joy and relief for me, after so much hard work on the development, art, design and pre-press of this art volume! 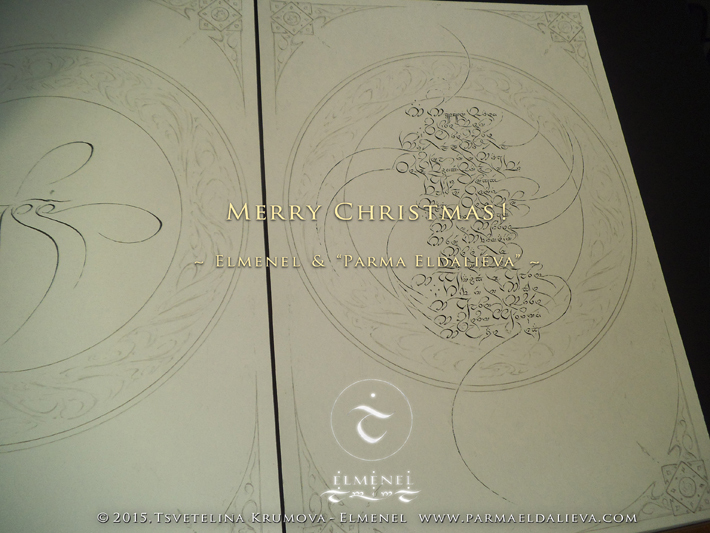 Greetings and best wishes with a Christmas photo of the contents of "Parma Eldaliéva I"! 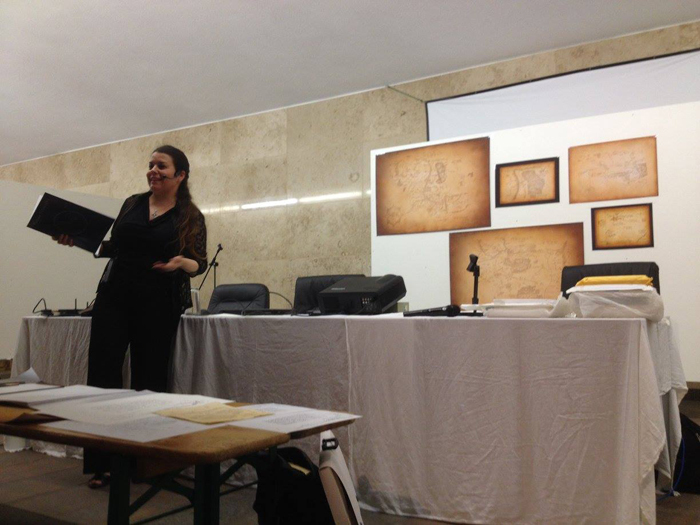 I am glad to present with it the pagination of the art manuscript and its first printable version (below the photo). I am grateful to God for giving me the inspiration and strength to create my art and do my work! I am grateful to all the wonderful people who granted me their dearly cherished and much needed friendship and support! 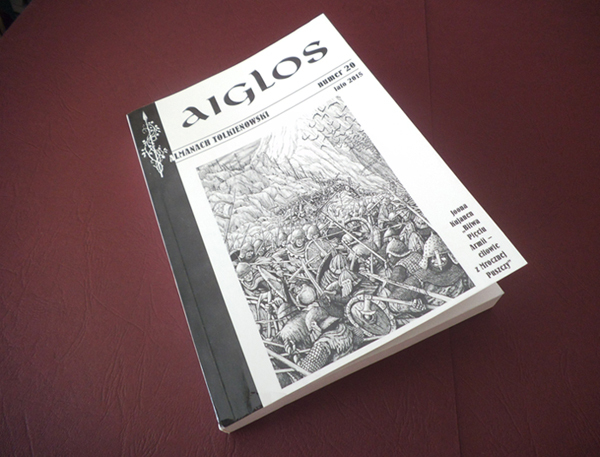 The wonderful J.R.R.Tolkien-related journal "Aiglos" published in its issue for 2015 a reproduction of page 98 of "Parma Eldaliéva I" and of "Lúthien" by Elmenel! The exhibition in Sheffield is open! An exhibition walk through VIDEO. Forty-two years since J.R.R.Tolkien passed away. May God bless him! May his good works live on! Gratitude and may his legacy be unstained and always shining with that light no darkness can reach! 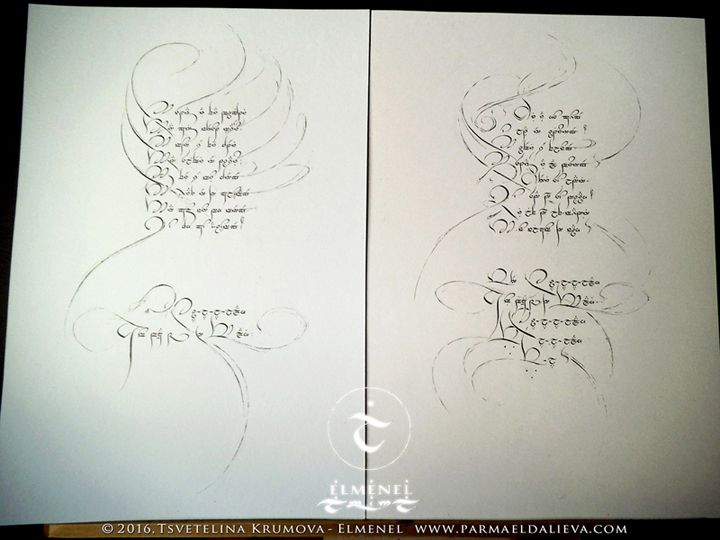 Last week I had the pleasure and honour of participating and presenting the first book in Tengwar, five maps in Tengwarin calligraphy and the ongoing "Parma Eldaliéva" project they are part of at an absolutely wonderful conference - Omentielva Enquëa;, The Sixth International Conference on J.R.R.Tolkien's Invented Languages. 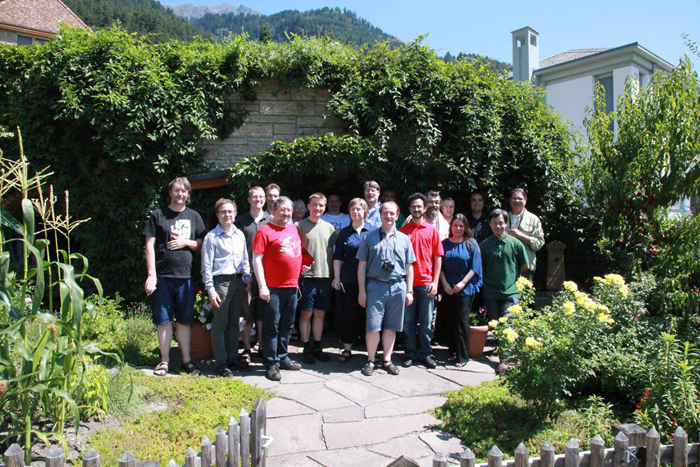 It was held on 6-9 August, at the Greisinger Museum, Jenins, Switzerland. The people, lectures, activities, and atmosphere were wonderful! This September in Sheffield! 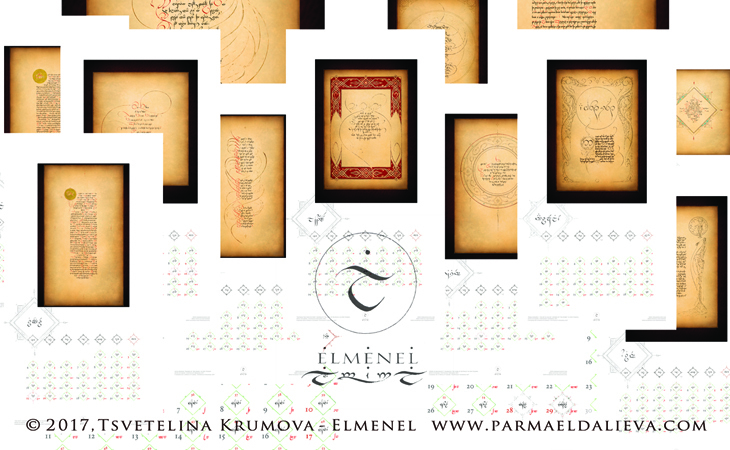 An exhibition that includes "Parma Eldaliéva" works by Elmenel. 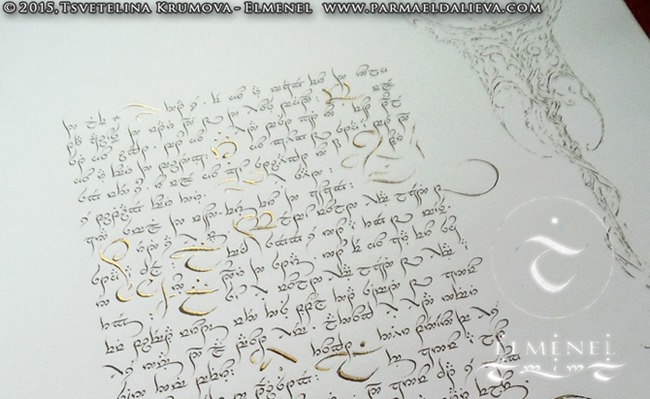 I would like to invite you to a presentation of my "Parma Eldaliéva" project exploring the topics of Elven Art and Calligraphy at "The Red House" Centre for Culture and Debate in Sofia (15 Lyuben Karavelov Str.) on April 30th from 17:00h to 17:30h. This presentation will be part of the "Obektiv" Club event of the Bulgarian Helsinki Committee, which will start at 16:00h. 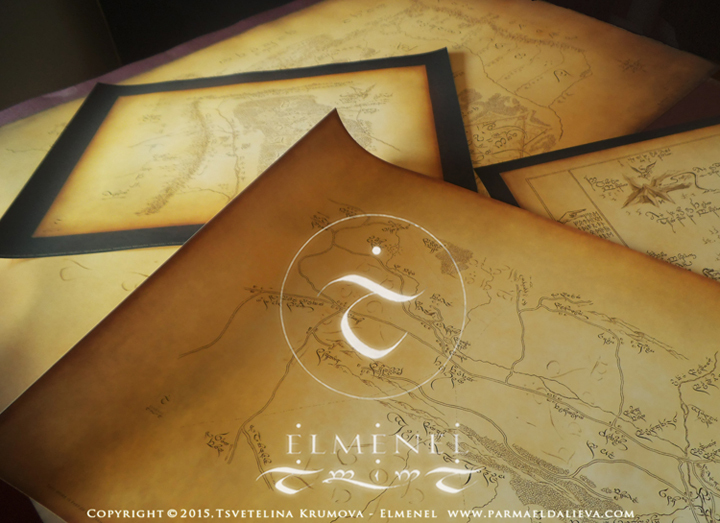 Four more unique "Parma Eldaliéva" 'Elven' works of art entered this world! 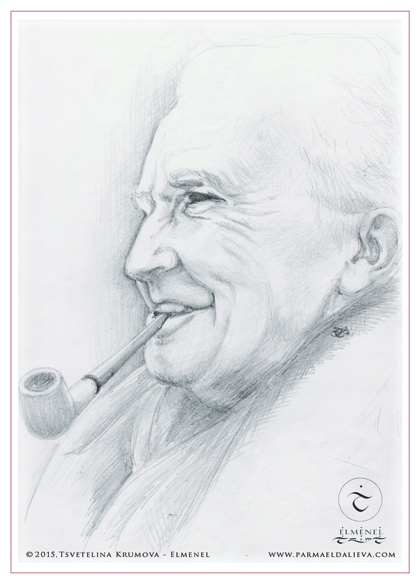 Here is a drawing of J.R.R.Tolkien I did in 1998. 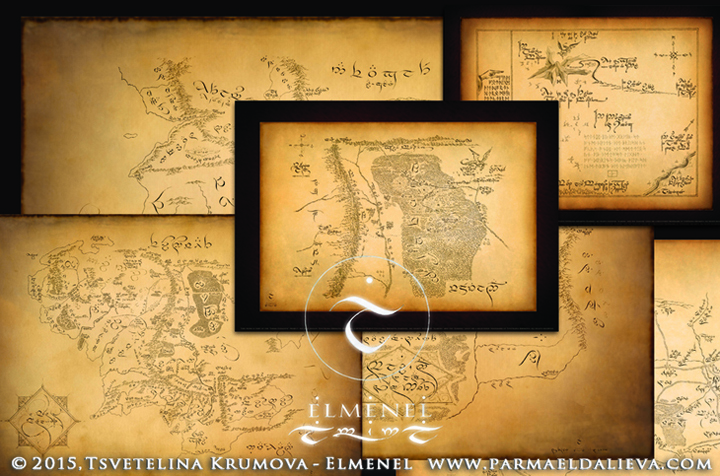 The first "Parma Eldaliéva" Elven map of Middle-earth that is ready in a print version! I refer to it as "Parma Eldalieva: The Cantëa Map" as it is the fourth ('cantëa') of the "Parma Eldalieva" maps according to the order of my work on those during the years. It is the second of the two largest maps of the project. Due to various circumstances, it became the first of them that has a print version. 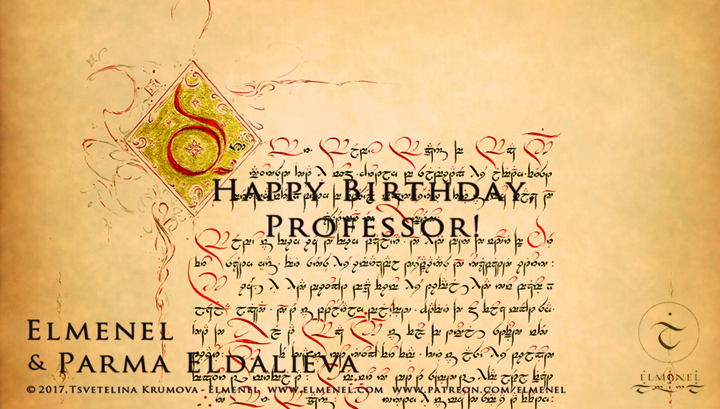 Happy Birthday to Bilbo and Frodo Baggins! 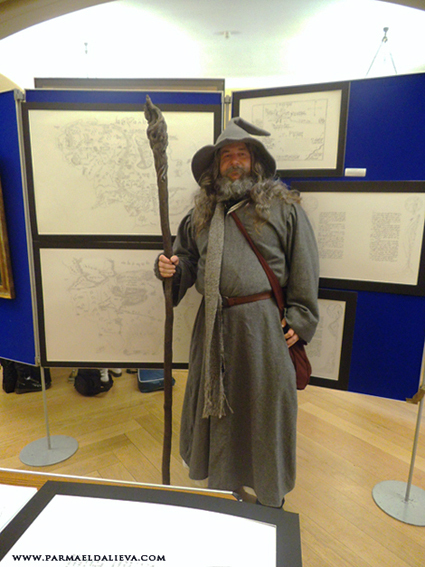 And a photo of Gandalf in front of part of my art display at Oxonmoot 2014. To those who have noticed the changes in some project deadlines and other information on this site and/or wondered about the progress of my work I have to say that the changes are due to the low funding of the work on "Parma Eldaliéva" in the past months. (As you know up to now this project has been relying on my own funds and on donations.) Those things together with the relatively unfavorable for my project conditions in Bulgaria where I currently reside (and from where I would like to relocate) have been causing a lot of struggles for me, being the only person to support "Parma Eldaliéva" financially, while working on the finishing stages of its first part. I hope that someday in near future things will finally become better for the work in which I have invested so much heart, love, creative efforts, skill, time and funds! If you see in this project a thing of beauty deserving of existence, and if you are able and willing to, then please support it! 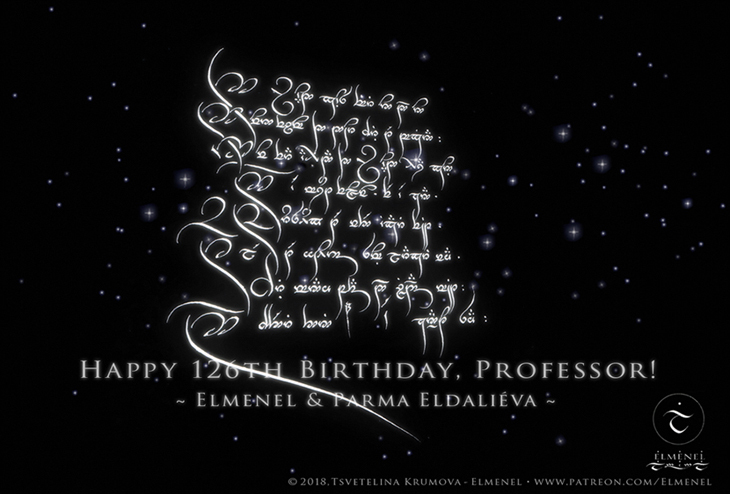 The official Facebook page of "Parma Eldalieva" ( www.facebook.com/ ParmaEldalieva) has been launched on February 7th, 2014.